Gripes: Terribly drying, doesn't clean well. 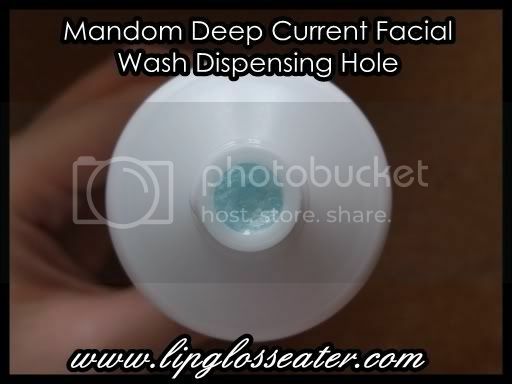 Deep current water contains an abundance of minerals with moisture retensive effect. 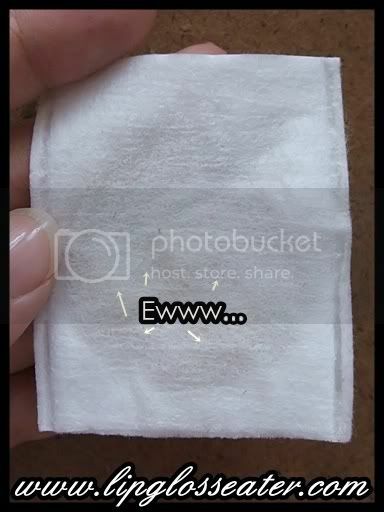 After face wash, there is no excessive tension of skin. The skin feels moist aftr use. Non scrub type that is gentle to the skin. 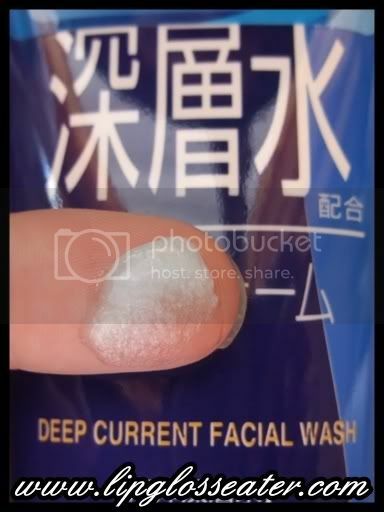 This product is a facial wash using deep current water from the Japan Sea (Toyoma Prefecture Deep Curent Council). (Deep current water) At a depth of more than 200 meters, deep current water matured through the long passage of time; it is rich and well-balanced in minerals and excels in moisture retension. I don't know about oil control, but this made my face feel TIGHT immediately after rinsing it off!! This facial cleanser priced at RM9.20 (approx. US$2.48), which is really cheap! :D It should be available at most Watsons outlets. Ok people, do not be deceived by this product. Although this is stated for DRY skin, and throughout the description it says that this will help you retain moisture, gives your face no tight feeling, blablabla, DO NOT BELIEVE a word of that! I personally have combi dry skin, and this made my face felt like a prune immediately after rinsing this off. Even my husband who has combi skin (oily t-zone, dry cheeks) complained about this too. Did they mislabeled this or what?! Credits: Product photos from Store.shopping.yahoo.co.jp. I found that the product with alcohol in the ingredient is very drying and could cause redness/break out for sensitive skin. I stay away from any products that contain alcohol. I not try this as I stil having the mandoom cool scrub one. That is okay for me, this one.. eh... no plan to try as got other skin care product using. I mix using actually like today this esok that. oh the nose so clean!!! 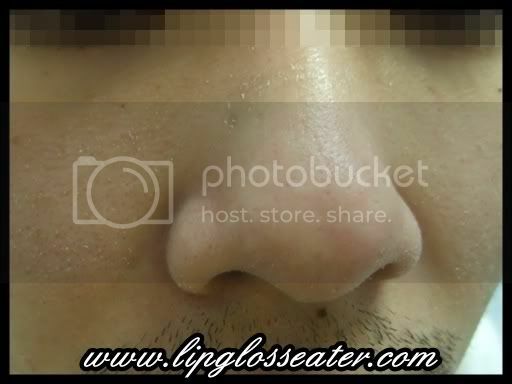 almost no blackheads one? plue: lol!! I'll link to your review then!! Poor him, I'm sorry this didn't work at all for you two. oh my!! that's really drying! toss it out!!! gio: yeah... :( I was horrified at how drying this one is!